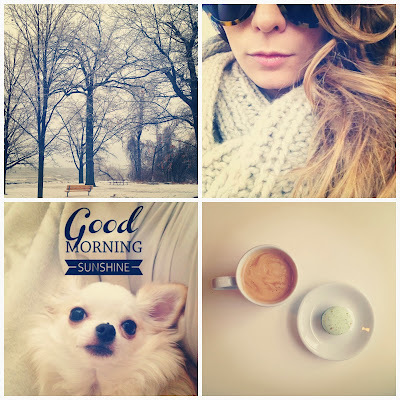 Le Weekend - A Week's Recap | La Petite Noob | A Toronto-Based Fashion and Lifestyle Blog. A week's recap, one week of starting this blog and embarking on my journey of self-improvement towards completing my 30 before 30 list. Unfortunately for as motivated and ambitious I was during the work week, mother nature had other plans when it came to my weekend. Freezing rain, strong winds, falling trees and power lines hit Toronto and it's surrounding areas, thwarting the majority of my weekend plans. Holiday shopping, dinner parties with friends, packing and moving apartments - all having to be cancelled and rescheduled due to the weather. This was also the weekend that I had wanted to start figuring out how to take my DSLR out of A and P mode and into full manual, however one large frozen tree branch falling virtually at my feet was enough to send this aspiring photographer running indoors. One week down, one major task completed on the 30 before 30 list - start a blog. Here's to a more productive week leading into the new year.